I got beautiful bunch of flowers to my birthday from M. last Sunday. 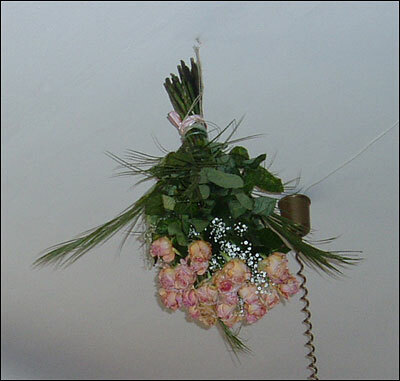 But today the flowers are not as beautiful as they was last week so it is necessary to resolve what to do with them. 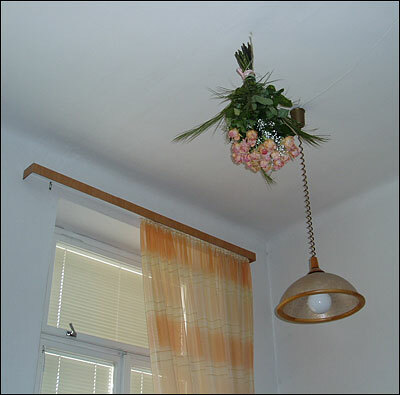 Because M. is all long at home, the bunch of flowers may not be thrown away and alternative resolution must be found. M. demands to build up a mausoleum instead of our living room where all our friends could admire my bunch [like Lenin in Moscow]. I'm affraid it is not possible for now because we have nowhere to move the living room furniture.